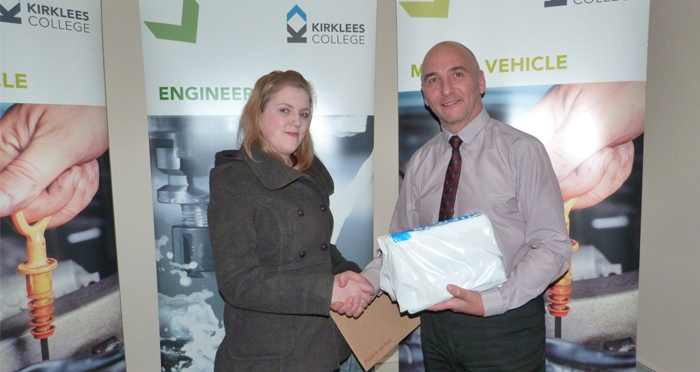 Megan Lunn, a third year mechanical engineering apprentice at Reliance Precision, has been awarded The Severn Unival Most Outstanding Achievement Award by Kirklees College, in recognition of exceptional performance. Thirteen apprentices currently work with Reliance Precision at their EAL approved on-site training centre in Huddersfield. Reliance’s successful apprentice scheme, founded in the 1960s, provides high quality training in a facility with dedicated staff, machinery and equipment. Reliance aims to train apprentices in an environment that nurtures personal as well as technical skills. The collaboration between the company and Kirklees College complements and enriches the overall learning experience and apprentices have an opportunity to excel on a practical as well as academic level.